The Pleated Posy Fabric flower pattern by Penny Sturges makes a unique flower to decorate and embellish your handbag. 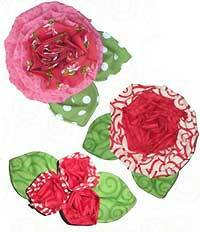 This pattern includes multiple styles and sizes of flowers. 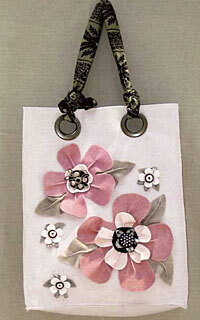 You can attach a pin back found in the jewelry section of most craft stores or just glue your flower on your bag.